Want more? Sign up for updates it's FREE! I respect your privacy and will NEVER sell, rent or share your email address. Gorgeous Modern Semi-Detached in Applewood, Mississauga! Are you currently renting and thinking about buying a home in Etobicoke? Here are some of the advantages of owning a home. When you’re ready to buy, make sure to reach out to a real estate professional like myself who has earned the Accredited Buyer’s Representative (ABR®) designation. That means I have specialized skills and education to advocate for you in the home buying process. It’s a win win for you if you choose to work with me! Simply send me an email to set up a time to talk OR just call me at 647-225-8255 and we’ll schedule a time. I only have a few spots available and I only take on select clients so you can be rest assured you will get highly personalized attention when we work together. Looking for current information on Toronto and Etobicoke Real Estate Home Sales for this past February 2019? Here are the latest numbers for Home Sales in Toronto and Etobicoke. Toronto Real Estate Board President Gurcharan (Garry) Bhaura announced that Greater Toronto Area REALTORS® reported 5,025 homes sold through TREB’s MLS® System in February 2019. This sales total was down by 2.4% on a year-over-year basis. Sales were also down compared to January 2019 following preliminary seasonal adjustment. A new coat of paint can work wonders to update the look and feel of your Etobicoke home. Perennially stylish neutrals offer an abundance of choice to rejuvenate your home with these tips in mind. Synchronize. To pull your room together, select a neutral shade from a work of art, a decorative accessory, or furnishings. Tone it down. If tempted to paint your den a sunny yellow for example, consider an unobtrusive tone appropriate for reading or watching television. Connect adjacent rooms. Two shades lighter or darker from the same colour chip or a complementary hue provides a natural transition from room to room. Start small. 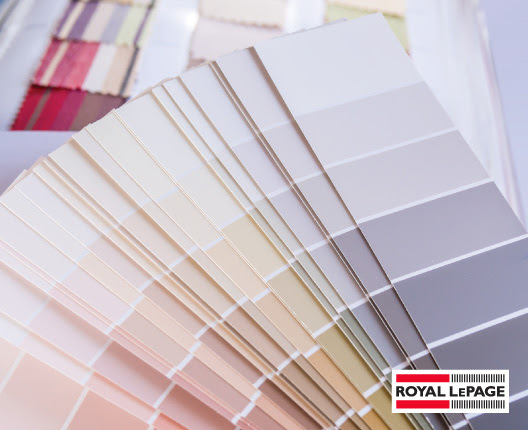 A paint sample or an oversized paint chip helps you consider how the colour looks in your room, and under various lighting conditions, before you commit. For more tip on how to make improvements to your home please subscribe to my newsletter here. The faster you pay down the principal amount of your mortgage, the more you can reduce those pesky interest costs. Take a look at your most recent mortgage statement to see exactly the amount of interest you have been paying on your mortgage these past few years. Want to change that amount starting today? These are the simple and profound changes that you can implement today to get you mortgage free sooner! Looking for current information on Toronto and Etobicoke Real Estate Home Sales for this past November 2018? Here are the latest numbers for Home Sales in Toronto and Etobicoke. Toronto Real Estate Board President Garry Bhaura announced the continuation of moderate price growth in November 2018 compared to November 2017. The MLS® Home Price Index (HPI) Composite Benchmark was up by 2.7% year-over-year. The average selling price was up by 3.5% year-over-year to $788,345. Greater Toronto Area REALTORS® reported 6,251 residential transactions through TREB’s MLS® System in November 2018. This result was down by 14.7% compared to November 2017, when we saw a temporary upward shift in demand as the market was distorted by the looming OSFI-mandated stress test at the end of last year.